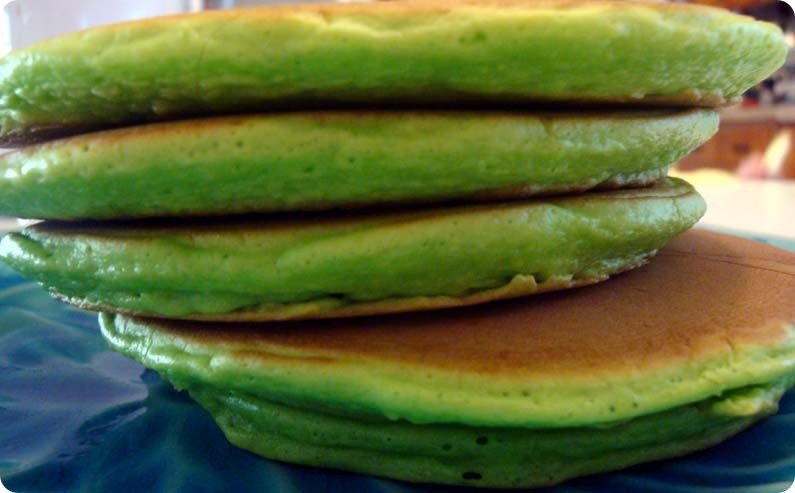 Home Recipes & FoodBreakfast	Green Pancakes for St. Patrick’s Day! Kinda? Last night before bed I remembered that the 17th is usually St. Patrick’s day. 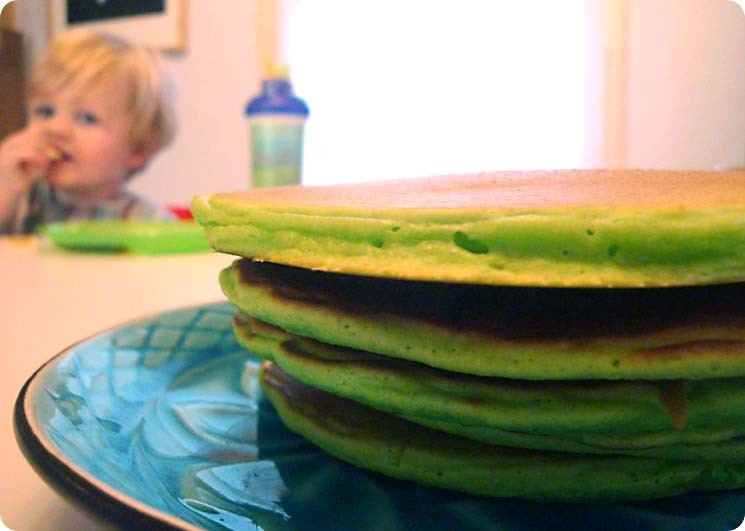 With no Irish blood in our family that I know of and quickly realizing that green beer is out of the question, what with me being 6 months pregnant and all, I decided that we would be having green pancakes for breakfast! I mean, I had a box of Bisquik and some food coloring. How hard could it be? 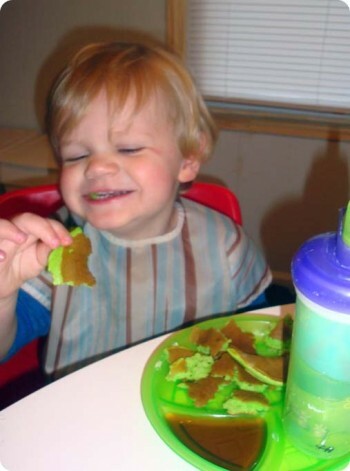 We followed the instructions for coloring cake batter and came out with a lovely shade of shamrock. Now we just had to flip them and…..wait a minute! They look like normal pancakes!? What the WHAT!? How did that happen? Honestly, I still don’t know, but as Jerry said, well I guess when you brown them they still get brown. We powered through like any good leprechaun would in search of a pot of gold. Or in our case, a delicious breakfast. Thankfully, our lucky charm didn’t mind one bit. Actually, our Scottish family Blake comes from the ‘Lamont’ Clan (rhymes with Rampant not Savant) which if traced back far enough (way back) originated in Ireland 🙂 Love the pancake pic with O in the background! So… somethings green are brown. Go it! 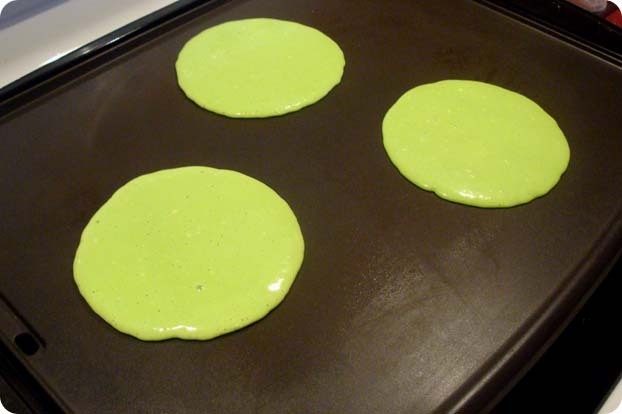 How fun that you even attempted to make green pancakes. We just rearrange the furniture around here! It was fun. What a face! Makes a Grammy’s heart melt! 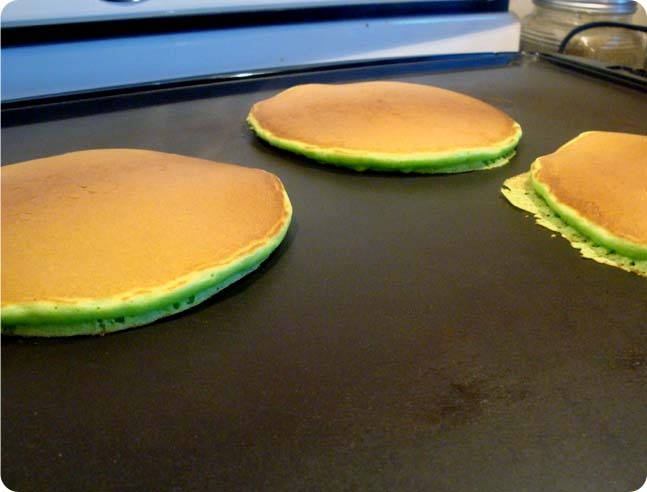 Great green pancake. I will definitely try to do something similar.